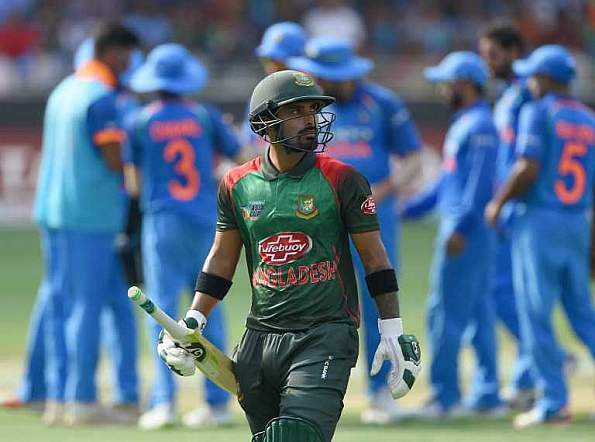 Depleted-but-spirited Tigers are ready to roar again as they face India in the final of ACC Asia Cup scheduled to be held today at Dubai International Cricket Stadium, in United Arab Emirates (UAE). The match will start at 5.30 pm (BST). The opening pair is unconvincing but Bangladesh have to play Soumya Sarkar for his contributions with the ball as Shakib Al Hasan isn't available. Bangladesh should field the same XI that beat Pakistan in Abu Dhabi. All the seniors who sat out of their exhilarating tie against Afghanistan will return. That means KL Rahul, who batted superbly against Afghanistan, will also have to make way.